I haven't shared some of my work in a couple of months. Unacceptable! 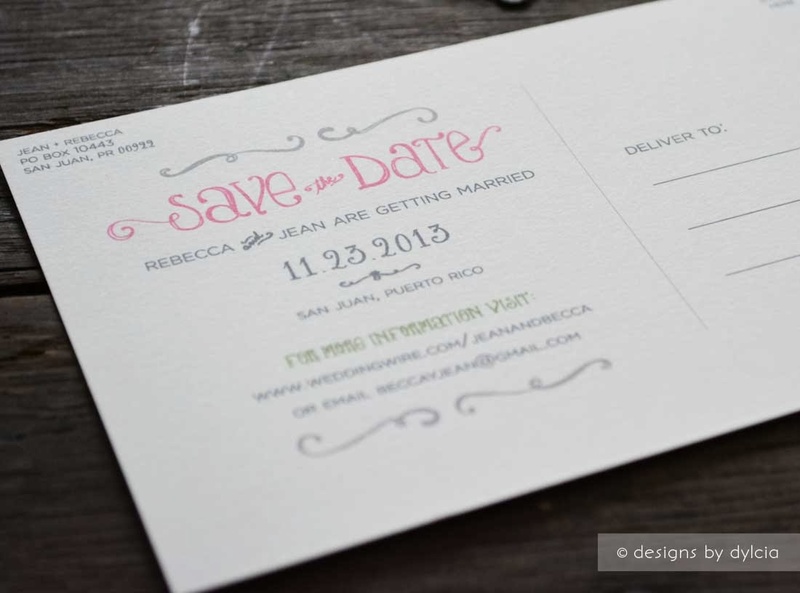 So I wanted to break that cycle and show you this lovely save the date that I designed last year. When my client emailed me the specs of what she was thinking about, she mentioned the idea of the poem that you see on the invitation. She was thinking that it could go on the back of the postcard. 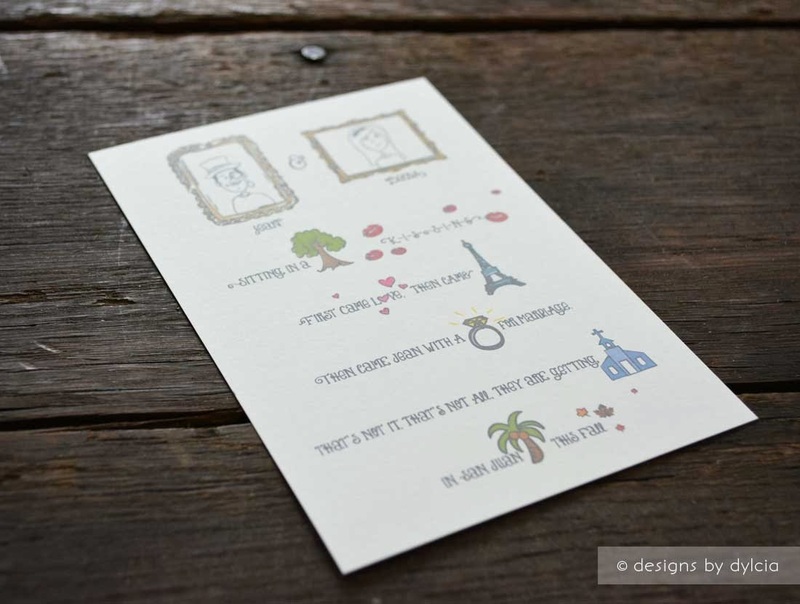 But I loved the idea so much that I recommended that the poem should be the main focus of the save the date. Lucky enough, she agreed. Gotta love when that happens. 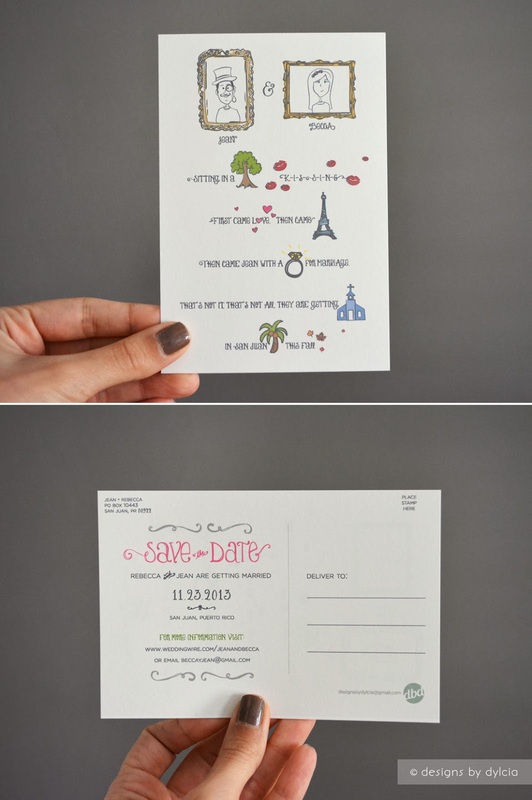 I really love this save the date because it is different and whimsical. It really represents the couple's personalities. And a huge bonus was that she got a lot of compliments from it. Always a good thing to hear.